Help Graham Harden in his fight against ASL! Beth and Graham met during the budding years of the Cincy Royals. 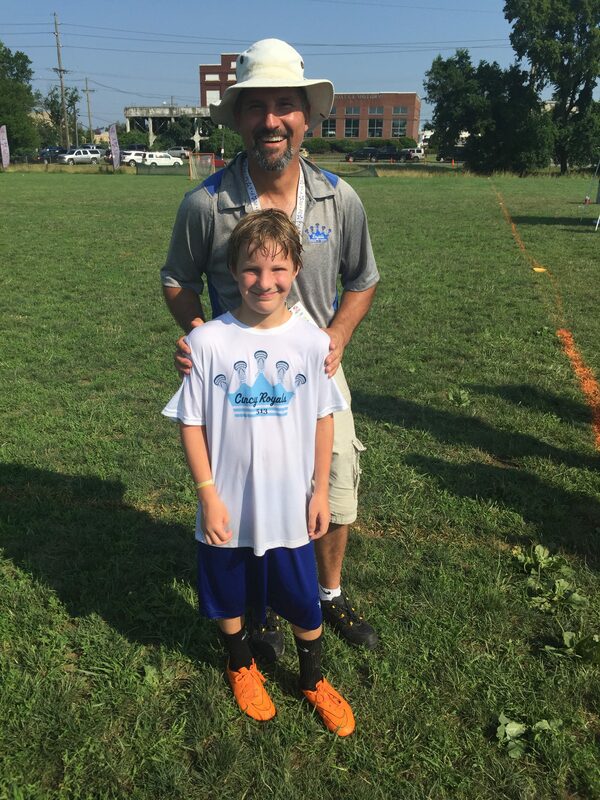 Together, through thick and thin, ups and downs, victories and defeats, they with the Royals inner circle, persevered to create and maintain the only sustained and successful summer travel program in the history of Southwest Ohio Lacrosse. Serving thousands of boys and girls from 4th-11th grade, Graham’s vision, council and philosophy are stamped indelibly throughout the program. Beth is helping GForce raise funds, awareness and is assisting with event marketing and social media campaigns. Brooks played at UNC with Graham from 1987-1991. 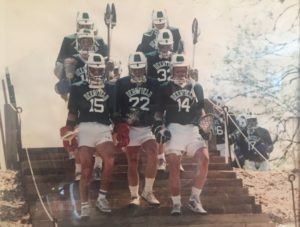 Brooks and Graham were two of the three captains who helped the ’91 team to an undefeated season, ending in the school’s 4th NCAA Lacrosse Championship. Brooks and Bryan Kelly are working with Coach Joe Breschi in mobilizing the Carolina Lacrosse Family. From social worker to EMT, Hester has served in a variety of capacities from outreach to homeless people on the streets of New York City (Lenox Hill Neighborhood House) to Deputy Executive Director of New York City’s largest non-sectarian Food Pantry (New York Common Pantry). Hester has known Graham practically since they moved to Terrace Park. Their love of basketball and mutual disdain for the other’s undergraduate University bonded them immediately. She runs on EMS with Graham, has served as his team mom for both Mariemont and the Cincy Royals, and has gone to Mountain TOP with Kendall twice. Both Hester’s son and daughter have been coached by Graham and her husband was even briefly his team mate on Terrace Park’s old man’s team. Hester is helping SW Ohio Fundraising efforts, co-coordinating GForce wear and designed the GForce Marketplace Web Site. Greg and Graham became friends while attending business school together at UNC-Chapel Hill. Following business school, Greg became a marketing executive, managing brands for Fortune 500 food companies such as Kraft Foods and the Campbell Soup Company. Greg started his own company in 2010 behind the development of a marketing investment optimization software application created by he and his business partner. 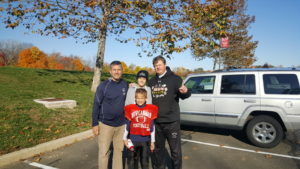 While he grew up a baseball player, Greg is a huge fan of the game of lacrosse and all three of Greg’s children are active in youth travel lacrosse. As one of the business school leads, Greg is helping to create annual fundraising platforms including the Final Four Raffle, a golf tournament in Chapel Hill and organization of youth lacrosse clinics in North Carolina. 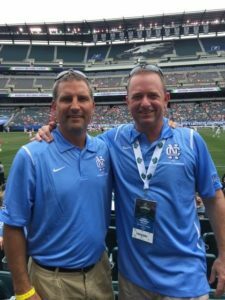 Reid and Graham have been close friends for nearly 35 years going all the way back to when they grew up together in New Canaan, CT. Reid played lacrosse at Washington & Lee University and teamed up with Graham on the Shearson Bulls Lacrosse Club after college. Reid is assisting in various fundraising and administrative efforts for GForce. I grew up with the Harden family in New Canaan, CT. Boyd and I have been friends since 3rd grade. We were teammates on HS State Championship winning football and lacrosse teams. Great friends with Shea, Graham, HH as well and Mr and Mrs H. Boyd and I lived and coached together after college at Brown U before Boyd went to Marine Corps officer candidate school. Played and coached lacrosse for 40 years at every level. Played in many post college tournaments with Boyd, Graham & HH (Vail, New Orleans, Hartford, Lake Placid). The Harden family have been good family friends to the Steeles in Cincinnati for many years, and their boys are best of friends. Graham has coached all four Steele kids in lacrosse and he serves with Molly Steele on the Terrace Park EMS. Todd has coached Graham’s son, Cole, in everything but lacrosse in case Graham’s DNA didn’t translate. Todd and Molly are helping coordinate activities and fund raising in Terrace Park for the benefit of GForce. Peter played lacrosse with Graham for three years at Deerfield Academy and is helping GForce build out its website and online presence. 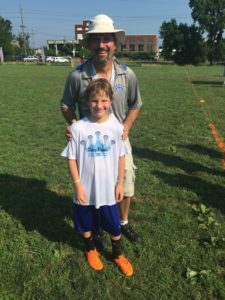 Graham and Bryan were both defensemen for the Carolina Tarheels from 1987 to 1991 and is helping GForce develop and execute fundraising efforts to offset Graham’s ongoing medical costs.